President Donald Trump is set to announce his nomination on Thursday with Fed Governor Jerome Powell, a soft-spoken centrist who has supported Yellen's gradual approach to raising rates, seen as having a lock on the job. Analysts say Fed could hike rates in December. The Federal Reserve kept interest rates unchanged on Wednesday and pointed to solid US economic growth and a strengthening labour market while playing down the impact of recent hurricanes, a sign it is on track to lift borrowing costs again in December. Investors had all but ruled out a rate hike at the central bank's policy meeting this week and attention has largely been focused on who will be in charge of monetary policy at the end of Fed Chair Janet Yellen's first term in February 2018. "The labour market has continued to strengthen and ... economic activity has been rising at a solid rate despite hurricane-related disruptions," the Fed's rate-setting committee said in a statement after its unanimous policy decision. In keeping with that encouraging tone, the central bank's policymakers acknowledged that inflation remained soft but did not downgrade their assessment of pricing expectations. U.S. Treasury yields and short-term interest rate futures were little changed after the release of the statement, while federal fund futures put the odds of a December rate hike at about 98 percent, according to CME Group's FedWatch program. The U.S. dollar pared gains against a basket of currencies and the S&P 500 index rose slightly. "It confirms a December move," said Gregory Daco, chief U.S. economist at Oxford Economics in New York. "If we get a confirmation that Trump picks Powell tomorrow, it's a sign that monetary policy will continue on its current course that we have seen so far this year with gradual normalization." The Fed has raised rates twice this year and currently forecasts another nudge upwards in its benchmark lending rate from its current target range of 1.00 percent to 1.25 percent by the end of 2017. The Fed's preferred inflation measure sits at 1.3 percent after retreating further from the central bank's 2 percent target for much of the year. Nevertheless, Yellen and some other key policymakers have said the Fed still expects to continue to gradually raise rates given the strength of the overall economy. In its statement, the central bank reiterated it expects inflation to rise back to its target over the medium term and emphasized that the unemployment rate has declined further. A decline in hiring in September has largely been dismissed as a blip caused by the temporary displacement of workers due to Hurricanes Harvey and Irma. That jobs report showed wages growing at an improved pace and the unemployment rate falling to more than a 16-1/2-year low of 4.2 percent. 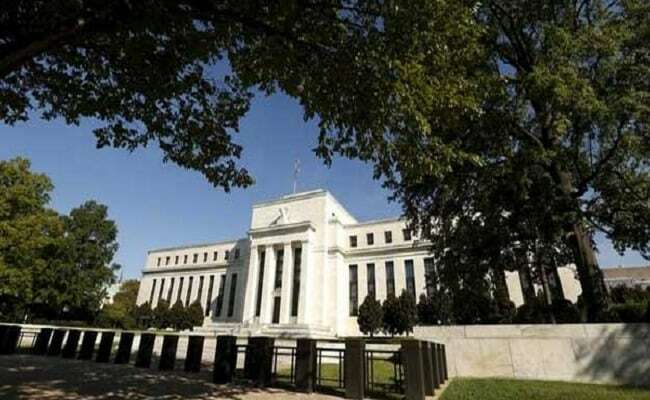 The Fed also said on Wednesday it was proceeding with the reduction of its $4.2 trillion in holdings of Treasury bonds and mortgage-backed securities, a process which began in October. New Fed Governor Randal Quarles, Trump's first appointee to the central bank, voted at this week's policy meeting. The Republican president could fill at least three more open vacancies on the Fed's seven-member board in the coming months. The central bank is scheduled to hold its final policy meeting of the year on Dec. 12-13.